The CREATES steering committee discussed innovative student-centered learning in London. 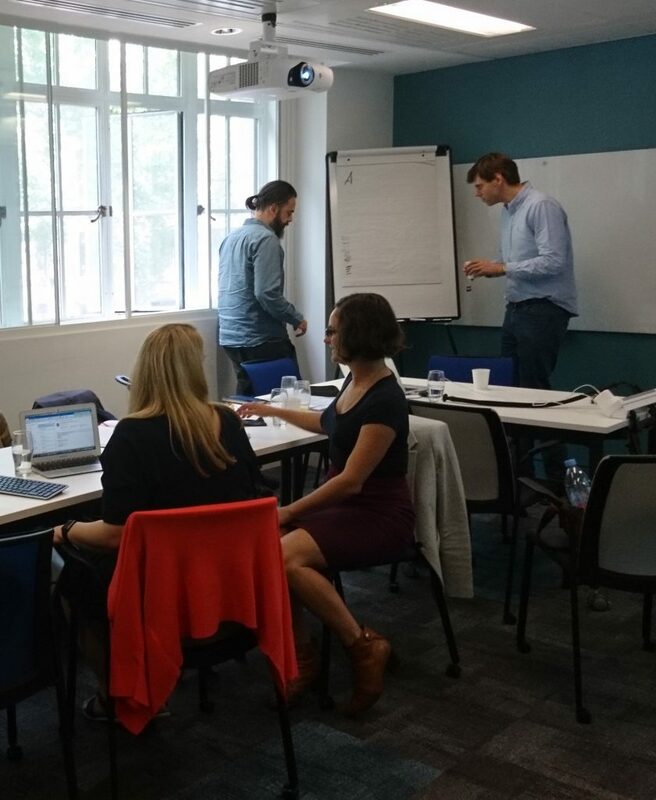 In June 2018, the CREATES steering committee met at one of its partner institutions, King’s College London. Spending much of the one-day meeting in the Bush House buildings, the committee clarified CREATES’s goals, made final decisions about the budget, and reported on CREATES’s progress thus far. Among the clarified aims is the central idea that co-creative learning approaches must work for all students and staff –that they must be universally designed to benefit and enrich a diversity of learners. Students must also be involved in the work of the CREATES development teams in developing their practical toolkits for co-creative learning and advising. Committee members discussed how to incorporate student perspectives and feedback through workshops for higher education students or collaborations with student organizations. The development teams focus on four areas of student engagement in higher education, co-creative learning in the classroom, faculty advising, peer advising, and self-advising. In addition to developing practical toolkits, they will test and disseminate these strategies through several events, some for students and others for instructors, advisors, and university leadership. The committee discussed the proposed formats of the toolkits, which will eventually be posted on this website, and the agendas of the events. The in-person meeting itself supports another of CREATES’s goals, to strengthen the network of European universities and colleagues collaborating on student-centered education and advising. The CREATES steering committee poses for a quick photo outside of Bush House at KCL.